Easy to install. Hanging Hardware included. 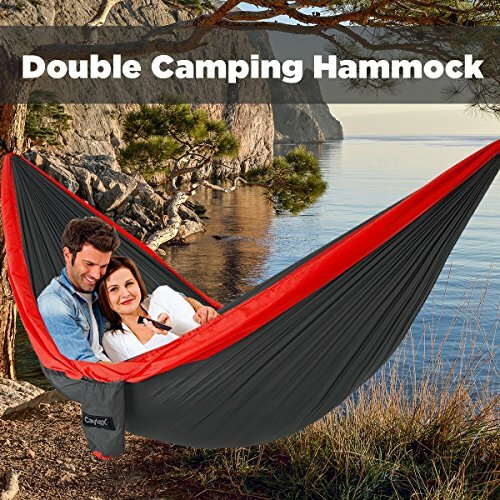 1.These hammocks feature a quilted polyester fabric that may be dye treated for UV resistance, solid wood spreader bar, and a design that may be sure to accentuate your backyard with tasteful color combinations. 2.Beautiful fabric design. 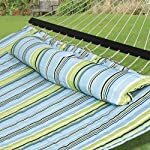 The striped pattern is a treat to eyes and deeply relaxing throughout usage. 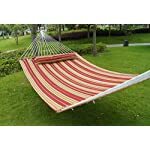 3.This premium hammock is a highly comfortable and offers relaxation and comfort at the highest level. 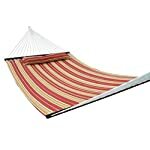 The Larger sized hammock accomodates 2 adults comfortably and a child too under the supervision of an adult. 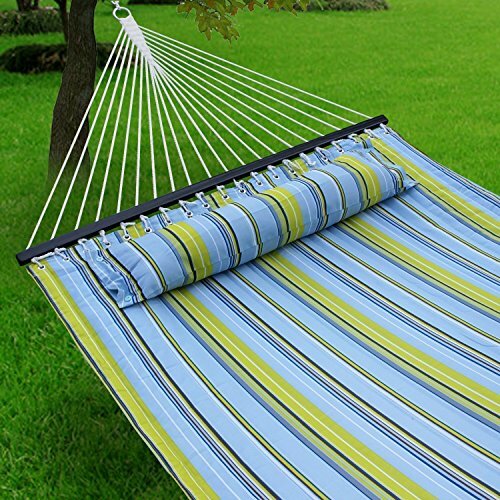 4.The ropes used at the hammock is 100% polyester and UV resistant too. 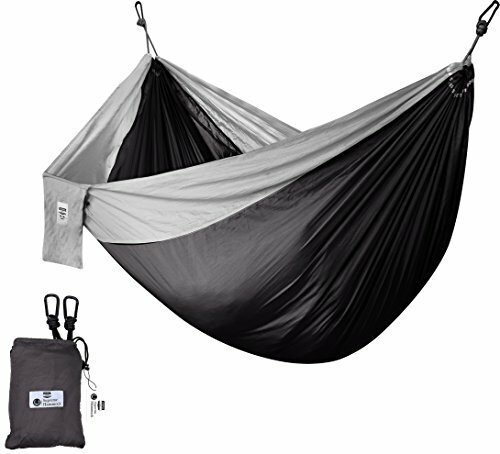 It withstands a total weight capacity of nothing lower than 450 lbs. 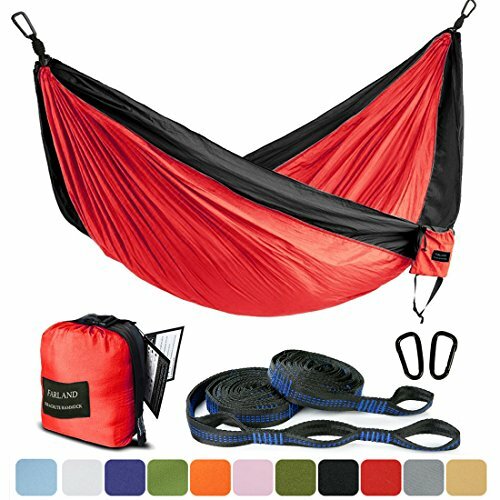 The hammock includes 5.Outside plated heavy duty steel O-ring with links chain on both ends to adjust size. 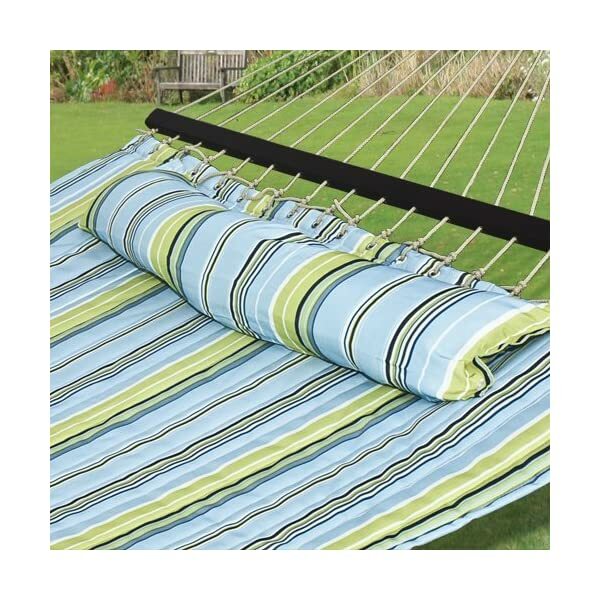 6.The 100% Poly fiber filling quilted on this product offers extra cushion and comfort to the guest. 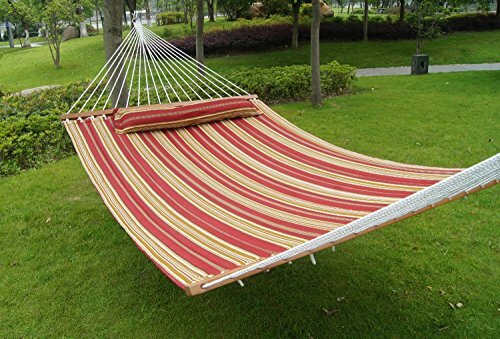 Please note that the stand isn’t included.These are prime quality hammocks on the way to last for years. Offer the soft feel,superior Outside durability.